This Alphabet Sticker comes in different designs. Alphabets Stickers offer an array of special effects for all kinds of a wall, textbook, craft work. Sheet layout- 4 sheets of 12 inches by 18 inches containing assorted 20+pieces. Each alphabet ranges from 2.5 to 2.75 inches. 73 Alphabets, with repeats of all alphabets. 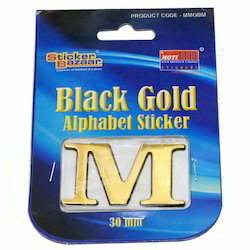 We are actively engaged in manufacturing an excellent range of Alphabet Sticker. Our offered stickers are manufactured with latest machinery & finest material in adherence to the quality norms. Our offered stickers can be provided in various sizes, colors & can be modified accordingly with the given details. Our valued customers can take the provided stickers from us at suitable rates. Our company is the major in offering Alphabet Foam. This product is meant for Out-Pack promotional purposes and orders are taken only in bulk. We are successfully meeting the requirements of our clients by offering the best quality range of Rhinestone Alphabet Sticker. 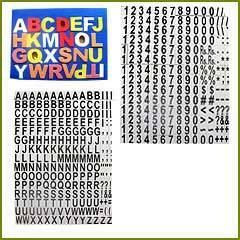 This pack contains lower case letters/alphabets stickers along with some punctuations made of foam. This will add dimensions and sophistication to projects. Can be used for card making, scrapbooking and many other craft projects.